Valentine's Day is the day after tomorrow and what better way to show your significant other how much you care than to make them something crafty. Yes, we know, not everyone has grand artistic abilities but we promise you these three ideas will not only be impressive to the person receiving it but you won't have to spend hundreds of hours trying to make them. Ready. Set. Go! First up: tell someone you're donuts about them. The blog Sugar & Charm provides a download-ready printable file so all you have to do is purchase sticker paper and mini gift boxes for the donuts. What a sweet way to tell your favorites you're crazy about them. These are very personal and may require a bit more time than the donut printables but these would be a fantastic gift. If you have children, making leather conversation hearts could be something that the entire family can help with. Visit Polka Dot Chair to get started on this DIY gift. Cookies, pretzels and airheads all rolled into one. 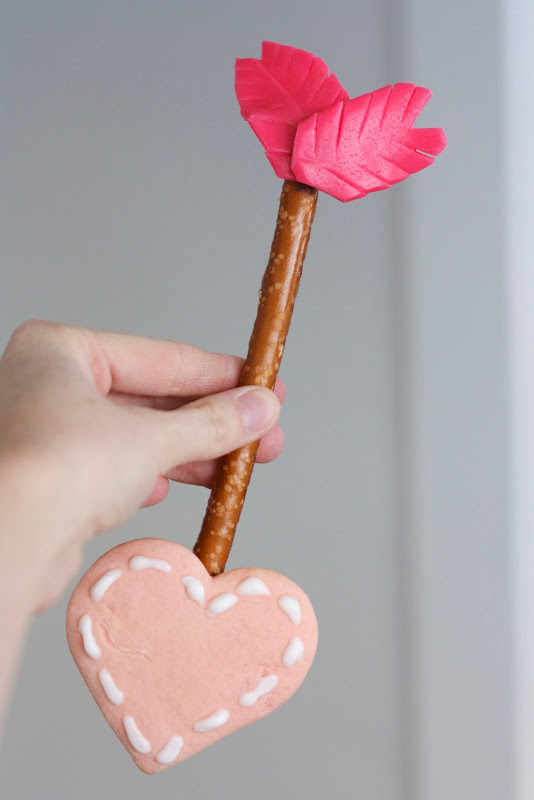 This easy edible DIY gift will definitely make your valentine smile...not to mention it's a yummy treat. Thanks to Coterie Blog for the idea. Hope everyone has a happy (and crafty) Valentine's Day!